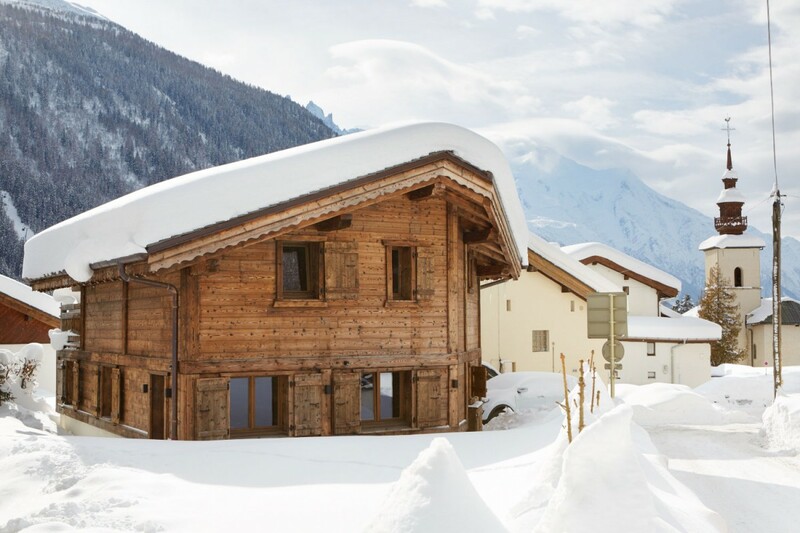 If a ski holiday is on your agenda, but you also want to experience something luxurious and unforgettable along the way, the charming Chalet Petit Zenith is one to consider. 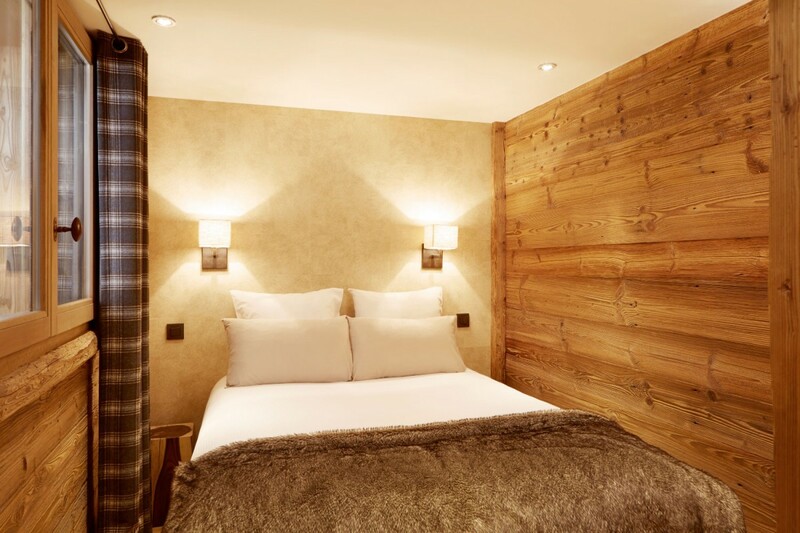 Only few moments from the center of the charming hamlet of Argentiere in the French Alps, it is within walking distance of the best cafes, bakeries, shops and nightlife. 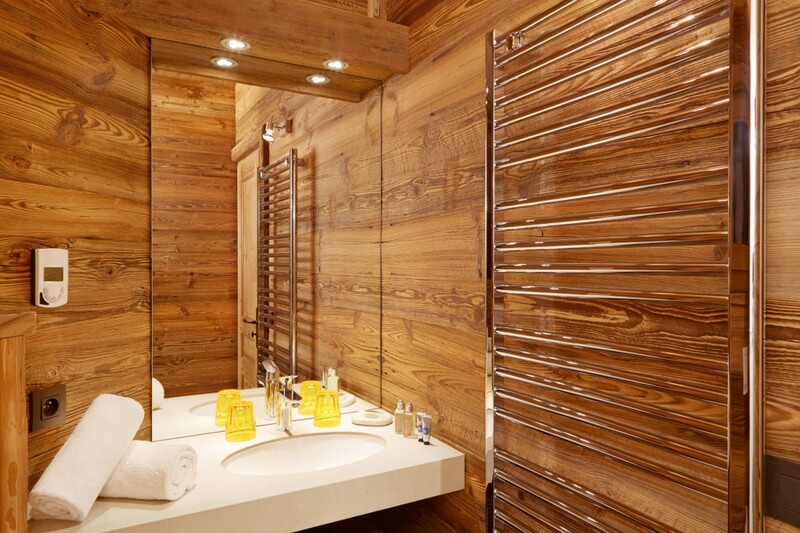 It boasts a fabulous position in the Chamonix Valley and provides an amazing range of premium amenities and services. 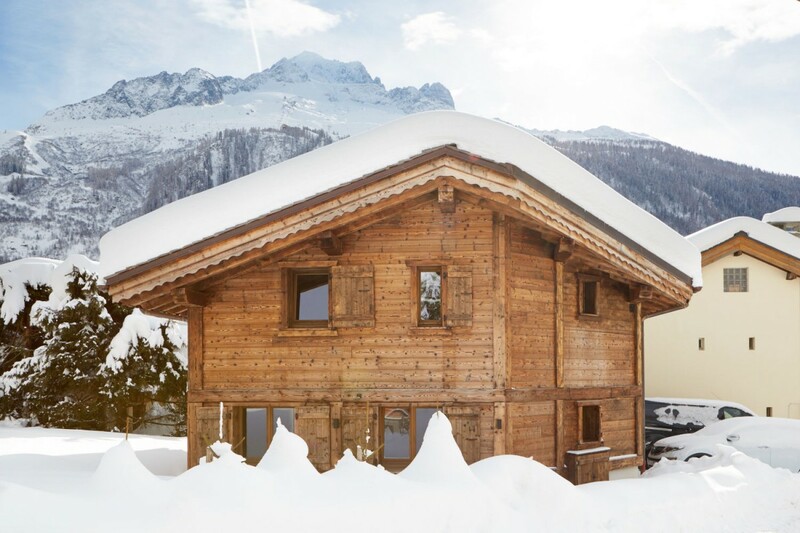 A classic Alpine chalet, it has been positioned to face the stunning views and has a storybook forest and garden as well. Private and spacious, it comes with the service of a professional chef, and provides a lovely array of shared and private living spaces, each flawlessly furnished for comfort. 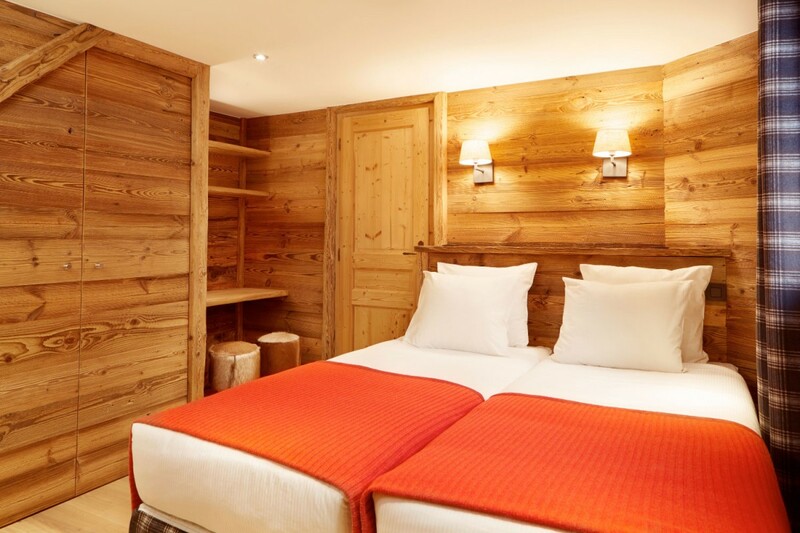 The ground floor offers you a classic ski room with boot and glove heaters as well as a fully-equipped laundry suite. 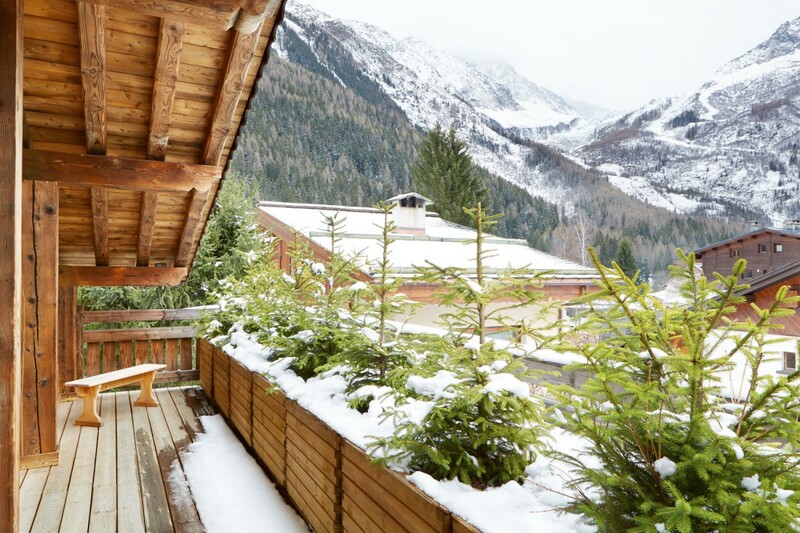 The first floor features a welcoming great room with show stopping views of Mont Blanc in the distance. 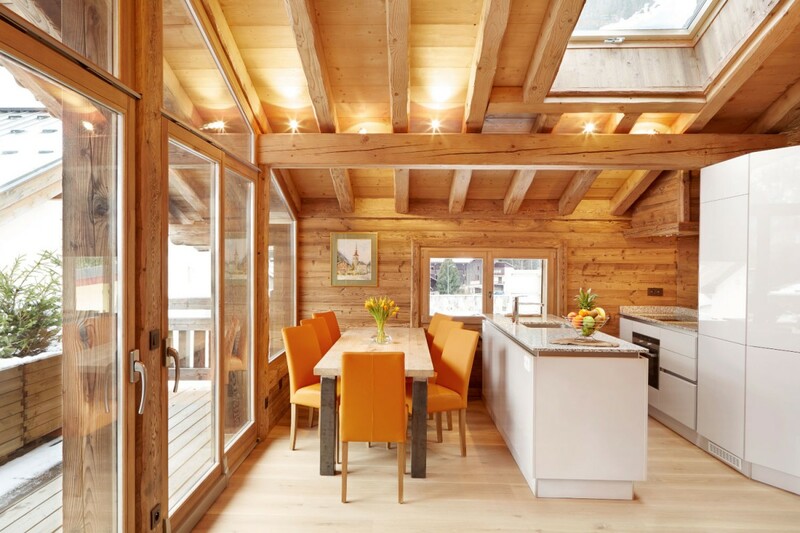 With the traditional heavy beamed ceiling and warm wood walls and floors, it offers you a living room with fireplace, a dining area and the gourmet kitchen. A large, banquette sofa and a palette of silvery grey, red and sand make this entire space warm and welcoming. This opens to the terrace where you can savor the brisk air and gorgeous views. 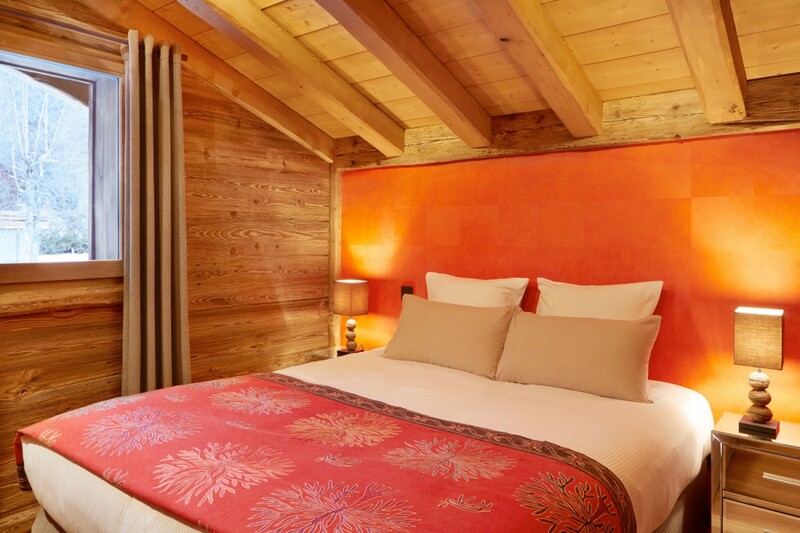 The four bedrooms of the premium chalet are spread out between the two floors. On the ground floor, a master suite with oversized bath provides private terrace access. There is another small bedroom on the ground floor sharing bathroom with upstairs rooms. 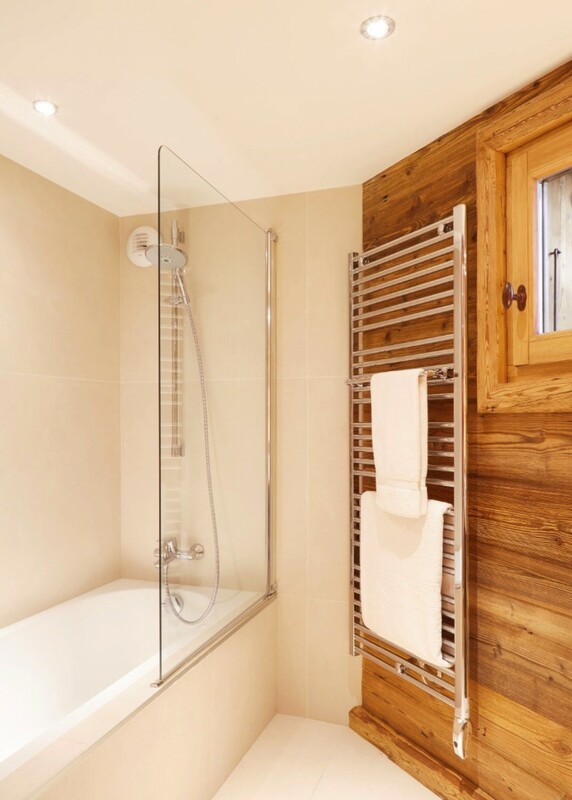 Upstairs, a single bedroom and a queen suite gaze out to the views and share a large bath. 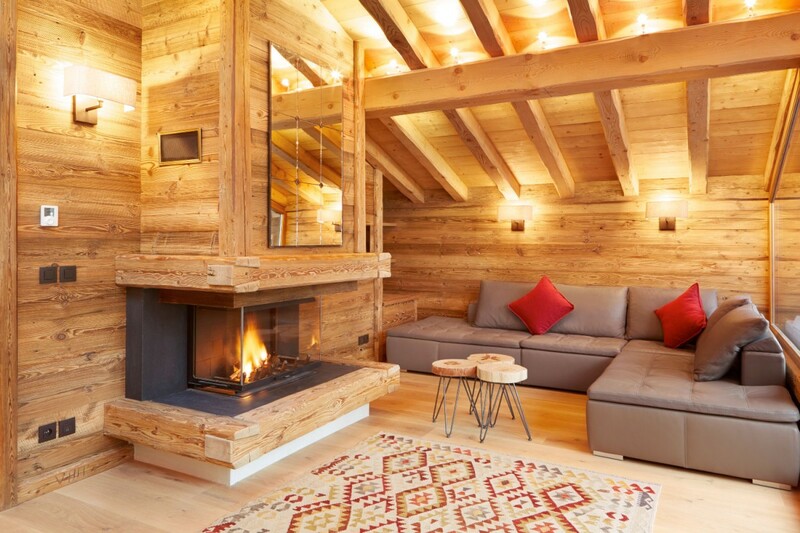 Ideal for a family or small group, the delightful Chalet Petit Zenith puts you within minutes of the best slopes and many quaint delights of an Alpine mountain village. All linen, towels and bath robes | All amenity bills | L’Occitane Toiletries | Local bed taxes | Basic clean at the end of stay | Option to have a bed and breakfast package | Option to have 4 course fine dining evening meal prepared by experienced and qualified chef | Sleeping amenities for infants | Reservation service for in-house nanny’s | Reservation service for in-house massage | Concierge service for private ski instructors and high mountain guides (handpicked where possible, ensuring quality of instructor/guide) | Ski school booking service for children and adults | Reservation service for Vallee Blanche, Heliskiing, Ski touring, Overnight stays in back country refuges, High mountain courses, Ice-climbing, Husky dog rides, Tandem paragliding, Scenic helicopter joy flights etc | Local restaurant recommendations | Friendly local advice as required. Supplement cleaning- charged at hourly rate | Transport – charged at agreed rate | Catering- charged at usage rate | Laundry service – charged as per item rate. 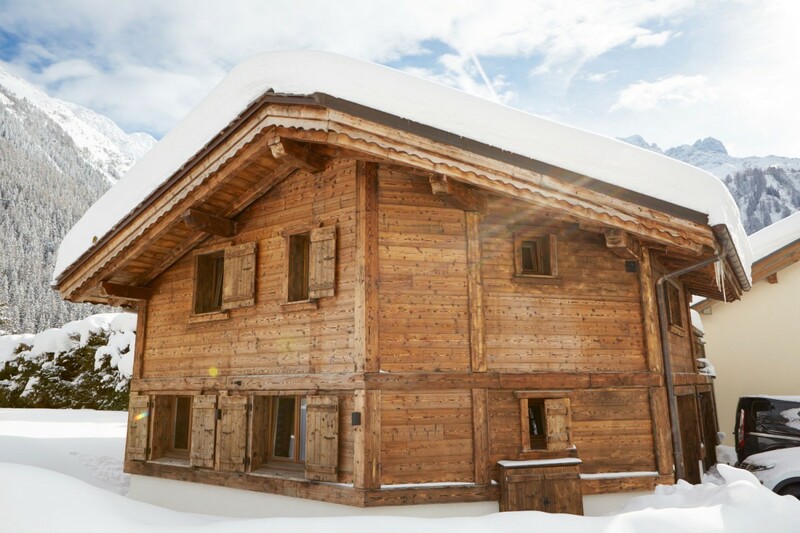 Included in the Summer rates : Chalet orientation and all utilities (water electricity, heating, firewood and WiFi). Bedroom 1: Ground floor bedroom with a queen-size bed (can be made up as two single beds) and en-suite bathroom with bathtub and vanity. 2 guests maximum. Bedroom 2: Ground floor bedroom with a double bed and shared bathroom with shower, vanity and WC. 2 guests maximum. Bedroom 3: First floor bedroom with a queen-size bed (can be made up as two single beds) and shared bathroom with shower, vanity and WC. 2 guests maximum. 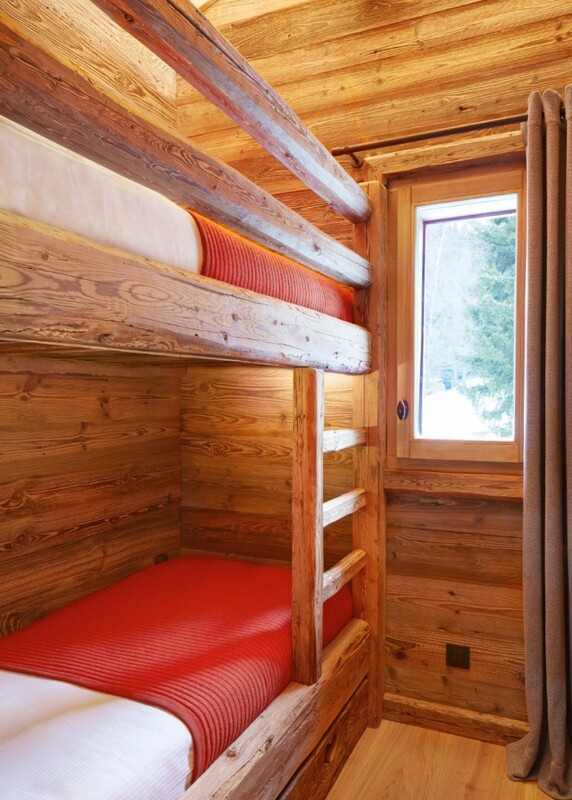 Bedroom 4: First floor bedroom with two bunk beds and shared bathroom with shower, vanity and WC. 2 guests maximum.